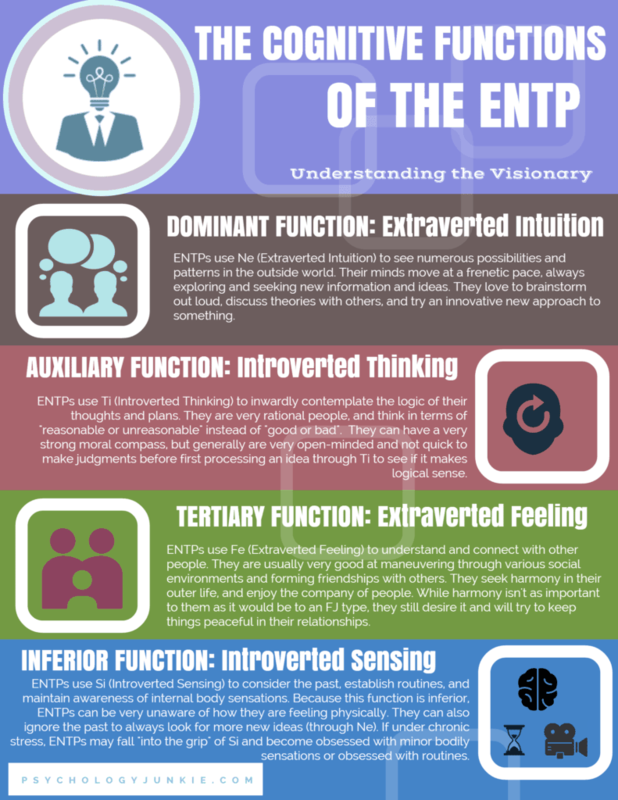 It’s been a while since I made an infographic, and I figured it was about time I did one for the ENTPs. These ingenious, creative thinkers explore endless possibilities and are some of the most open-minded people you’ll meet. Leonardo DaVinci, Benjamin Franklin, and even Walt Disney were ENTPs! So, without further ado, here’s the infographic! Make sure to click on the image to see a higher-resolution. Hello Susan. I just discovered your website and it is full of information. Your posts are great and they’re pretty easy to understand, as English is not my primary language. I respect your efforts to provide people with useful information. I do have a question though. I already took a free test in the Internet but I don’t think that the result is correct. It was a quick test. Which test would you recommend? I really am interested in this and want to make this test correctly. Thank you so much for your feedback! I’m so glad you have enjoyed some of my posts and that they have been useful 🙂 That is my goal! The online tests are a hard way to truly identify your type, but they can point you in the right direction. This test is good, but what I would recommend is taking the test, reading the profile of the type they say you are, and seeing if it fits. Try to study the cognitive functions of that type (for example, if it says ENTP study Ne,Ti,Fe,Si) and see if they match up with you. This blog is really good at explaining how to find your true MBTI type as well. That literally just described me to a ‘T’. Thank you so much for taking the time write all of this down! Helps me understand myself and others so much better! Hello, I suppose this is almost 2 years old now but the link to the infographic is broken. Thank you for letting me know! I just fixed it and I hope it works now!